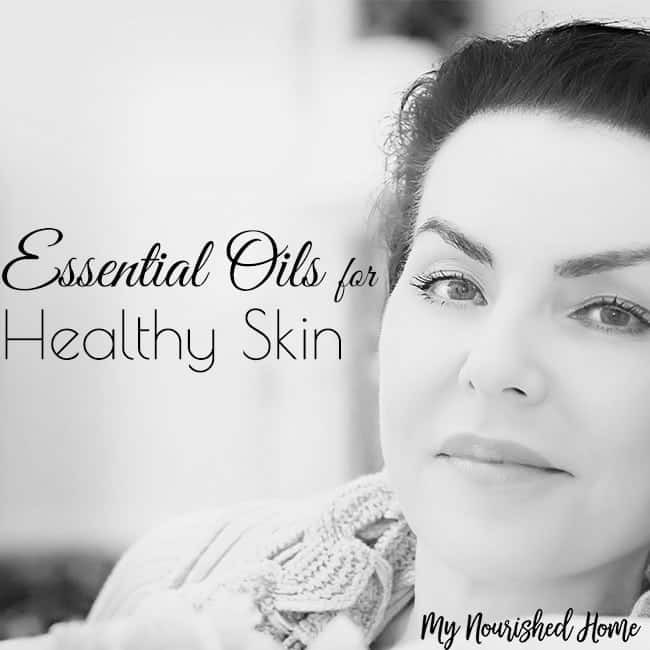 Did you know that you can create your own homemade skin care products using essential oils for healthy skin? Having a good skincare routine is vital if you want soft, healthy looking skin, especially as you age. When you look good, you feel better about yourself and the decisions you make daily. Having healthy, silky looking skin can do wonders for your appearance and your self-esteem but it has other benefits, too. For example, when you take good care of your skin, you’re less likely to develop skin conditions such as acne and rashes. It will also help keep your skin moisturized so it doesn’t look and feel dry, chapped or scaly. Having a good skincare routine can also help you manage and reduce the number of outbreaks you have if you suffer from severe acne, psoriases or any other skin condition. Lavender – Use lavender oil to help regenerate skin cells, fade scars and for its wonderful aroma that helps to relieve stress so you can relax. Frankincense – This oil moisturizes, tightens and tones the skin, reduces wrinkles, minimizes scarring, encourages the growth of new cells and it’s great for all skin types. Geranium – This is a good oil to use if you suffer from acne because it helps the body to regulate oil production. It’s also used to reduce fine lines and wrinkles, improve circulation and to treat other types of skin conditions that include eczema, dry skin, ringworm, and dermatitis. Carrot Seed – This oil is used to help rejuvenate the skin and generate new cell growth. It helps to minimize scarring while toning the skin and neutralizing inflammation so the skin looks smooth and silky. Tea Tree – This essential oil is an excellent choice when treating acne prone skin. It contains antibacterial properties that kill and fight off the bacteria that cause acne. It also has the ability to help regulate oil production to control and reduce the number of outbreaks you have each year. Neroli – Neroli has antiseptic properties that help to reduce pores and regulate oil production to treat and help prevent acne. It also reduces the appearance of fine lines and wrinkles, tones saggy skin and regenerates cells. Rose – Use rose essential oil to help improve the skin’s texture and even out skin tone. It’s an excellent choice for dry skin as it moisturizes and leaves it smooth while minimizing fine lines and wrinkles. Ylang ylang – This oil is great for aging skin because it helps to regenerate cells and improve the elasticity in your skin, which reduces wrinkles and sagging skin. It can also help to regulate oil production so it’s also good for acne. 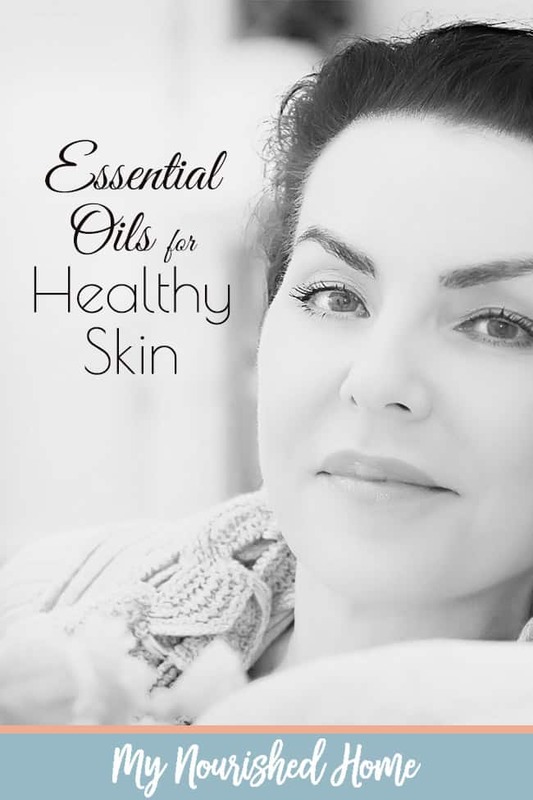 These are just a few of the many options you have when using essential oils for healthy skin. Making your own skin care products using essential oils is easy and there are many recipes and essential oil reference books available to help you get started. Want to see my most popular Essential Oils Post? Check out Peaceful Bedtime Routine for Kids.